EXPEDITED SERVICE OPTION: $100 | Have your new account reported to TransUnion within 2 business days of receiving all documents and rent verification. They can answer 5 quick identity verification questions over the phone! We will then reach out to them to verify your rent payments! We will just need them to verify your rent payments! Why Credit Rent Boost is the Best! 100% Money Back Guarantee if your Landlord will not Cooperate! You continue to pay your landlord directly each month! Within just a few minutes you can be fully signed up! We work with all names on the lease, so roommates and spouses can also build their credit! In fact, we offer a multi-renter discount! We report to TransUnion TWICE A MONTH! The 5th & 15th - so you will see your score increase faster! We will verify up to three past addresses in the last 24 months for no additional charge! We strive to make our process painless for both Landlords and Renters! No additional work for your landlord! Why Should You Report Your Rent Payments? Your credit score could increase anywhere from 20 - 101 points! (Typically the lower your score is to begin with, the higher the increase can be). For someone that has not established credit, it is possible for them to get a score above 640 within two weeks of reporting! When you increase your credit score, you become eligible for lower interest rates on car purchases, credit cards, and possibly qualifying to buy a new home! Having your rent reported helps to create a strong credit profile, establish a good payment history, or rebuild your damaged credit, without taking on any additional debt! You are able to establish credit for your past two years of rental payments! Recent studies have shown the longer your account reports, the stronger it affects your credit score! 35% of your credit score is based on how you continue to pay your bills, so you should build your credit every month with your rent payment! Our reporting directly to TransUnion is given the same weight as any other account on your credit report (PER TRANSUNION)! All accounts are reported to TransUnion, Individual Owners, Apartment Complexes, and Management Companies! We are authorized to report to Equifax, however they have much stricter requirements for landlords, then TransUnion. Unfortunately, if you rent from an Individual Owner, Equifax will not accept your account. If you rent from an Apartment Complex or a Management Company, we will be happy to assist them in obtaining their Equifax Approval at no cost to them, as long as they are willing to participate in the process! How the account will appear on your credit report! I’ve seen a significant increase in my credit in a short time. Credit Boost is a great service, with excellent customer service!.. Needless to say, I was thrilled!!! I have been trying different ways of raising my credit score. Unsecured credit cards, Secured credit cards. Secured loans, you name it. Every option I look at or tried would raise my score but I would have to wait two month or even four months I was told by one place. Paid the fee that Credit Rent Boost charged, they contacted my landlord I think the next day. By the end of the next week my credit score went up 66 points. Needless to say, I was thrilled!!! I highly recommend Cred Rent Boost if your looking to raised you credit score and you want it raised NOW!!! Dylan called me when I requested and answered ALL of my silly questions. He was very polite and professional! I highly recommend!!! First time doing this and very friendly staff and extremely helpful and would highly recommend this to all renters! All I can say is AWESOME! I NO DOUBT have faith in this company, the minute I submitted my application they were on it. I have received emails on EVERY STEP I promise you guys. I was a bit skeptical like everyone might be, but this company is legit. I received emails on when the process was completed, when to follow-up with the credit bureau, etc. I look forward to carrying on my subscription with Credit Rent Boost! I recommend Credit Rent Boost. Very reliable and friendly. Great customer service and they answered all of my questions. Will be telling my family and friends about this company. Outstanding customer service, was very impressed with how they dealt with my questions. Gaining Credit for paying your rent?? Wish i could have done this years ago. If you are like me and are needing to gain some points on your credit score… Call CREDIT RENT BOOST!!! This a great company! I was struggling with my credit after my divorce. Having little to no credit because what little money I had went to what my children need. I could not afford the high interest credit card with huge yearly fees or a car loan. I was told about Credit Rent Boost for a family member. 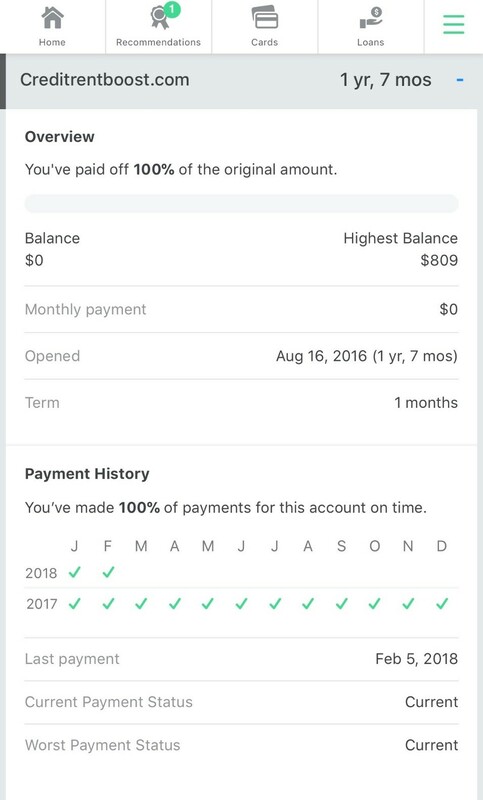 I talked with a very nice gentleman at Credit Rent Boost that told me about the few steps to take to make what I pay every month turn into credit. I didn’t realize that by have no credit out there I was actually paying more in other bills like car insurance and utilities deposits. Dylan at Credit Rent Boost actually walked me through signing up and was available to talk with my landlord to finish the sign up. Talk about customer service!!!!! A few weeks later I checked my credit score and WOW I have a significant jump in my score. Thank you Credit Rent Boost for giving me the ability to get credit from paying my rent each month!!! It certainly changed my life. Credit Rent Boost is hands down the best rent reporting agency!! Credit Rent Boost is hands down the best rent reporting agency out there! Fast, efficient, and built me a credit score from a 0! Definitely recommend to anyone else looking to build their credit score. They were able to report within one week of me sign in then, my credit score increased and that was able to move forward with some of my life’s plans Thank you! Everyone was very helpful they answered all my question and were very kind. Devoted to helping their customers! Excellent Service! Great staff! Really helped raise my credit score!! Credit Rent Boost is a lifesaver! Credit Rent Boost is a lifesaver. Easy to work with, great customer service and they really deliver, my score has gone up for simply doing what I am supposed to do, pay my rent on time… Thank You Credit Rent Boost!!!! Credit Rent Boost is the real deal! They were easy to work with, and the results were fantastic. I can’t thank them enough. I highly recommend Credit Rent Boost! talking to customer service was very helpful and answered all of my question very well, I highly recommend Credit Rent Boost!